I’ve always read about Kuala Lumpur being a central hub when traveling through South East Asia. I didn’t have intentions on coming here but when the flight I originally planned from NY to Manila doubled in price and I saw a flight sale from NY to Kuala Lumpur for $500 instead, I jumped right on it! I didn’t know that I would be immersed in not 1, but 3 different cultures and didn’t spend anywhere near what I expected. Getting around KL is easy and cheap. Uber’s run around $5-$7 per ride (depending on how far you’re going). 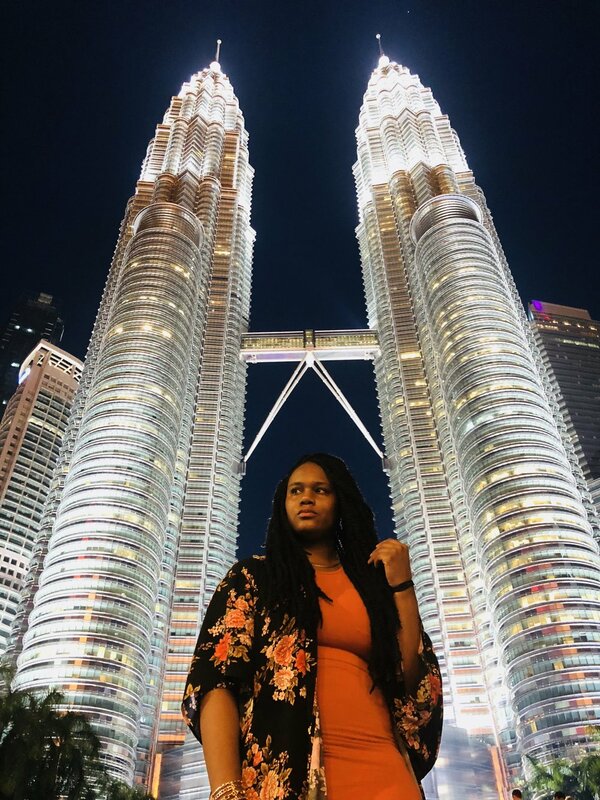 Here are my highlights of Kuala Lumpur that cost me very little or nothing. 1. Batu Caves: The Batu Caves sits North of Kuala Lumpur (a 30-45 minutes taxi ride). You can also visit the Batu Caves by taking the train from KL sentral. 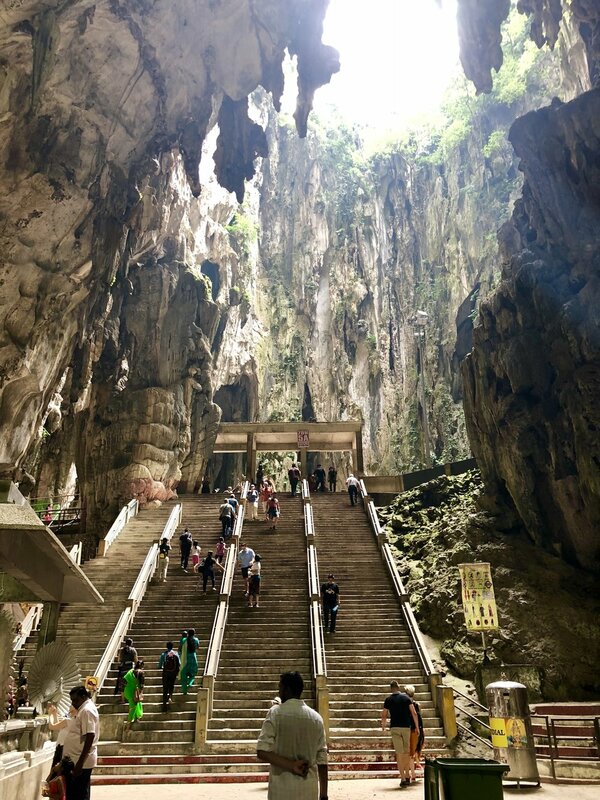 Sitting at the top of 200+ stairs you walk in and see a beautiful scenery of caves and cave temples. This is a Hindu temple and it is free to get in. Ladies Be sure to dress appropriately (shoulders and legs covered or you will have to rent something to wear). There is no entry fee to visit the Batu Caves. Check out the monkeys running around the caves along with paintings and sculptures of Hindu Gods. 2. The King’s Palace- Better known as Istana Negara (National Palace). 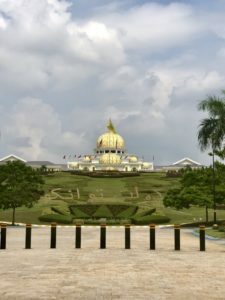 Although you aren’t allowed to go inside because it is heavily gated and guarded, the Malaysian palace looks like something out of a Disney movie. It’s free to see and you can get some nice photos. Staring at this palace reminded me of one of my favorite Disney movies ‘Aladdin’. 3. Massages: I love a good massage. There are countless massage parlors in Kuala Lumpur with very low prices. They are open all day and night (some closing as late as 3am). Most of the packages are the same and will run you about 120 MYR (or $30). 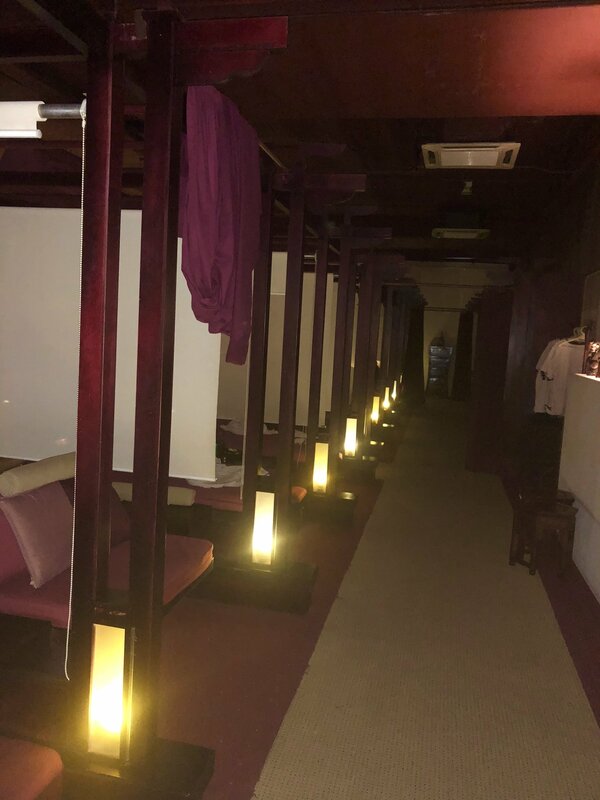 You will find massage parlors spread throughout Bukit Bintang. 4. Food: I would never go to a place and not mention the food. 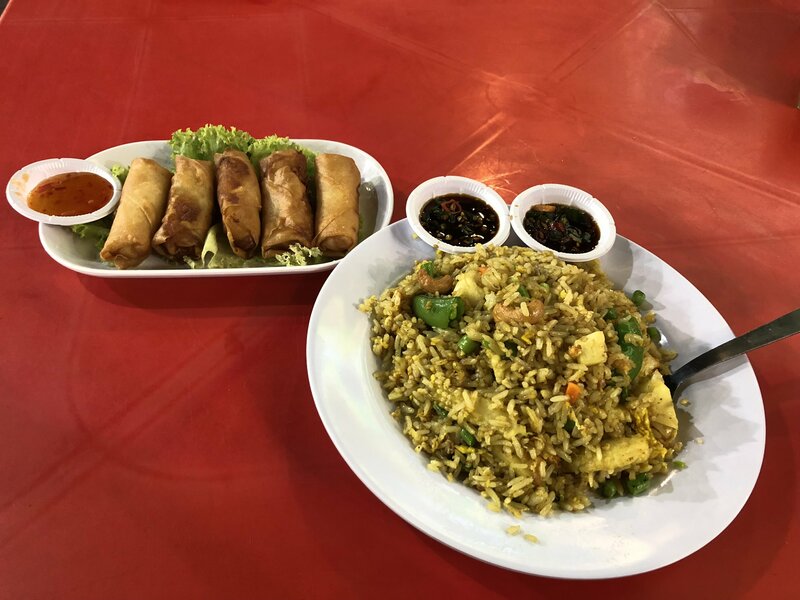 I enjoyed the food in Malaysia because they give relatively large portions at really low prices. Malaysia primarily consists of 3 groups of people. Malaysian, Indian and Chinese. Up and down the streets you will see restaurants belonging to each group so pick your preference and enjoy and don’t be afraid to try something new. My favorite meal I ate here was in a small restaurant in an area called Little India. 5. Bukit Bintang: With every place I visit, I always try to make time to see what the night life is like. 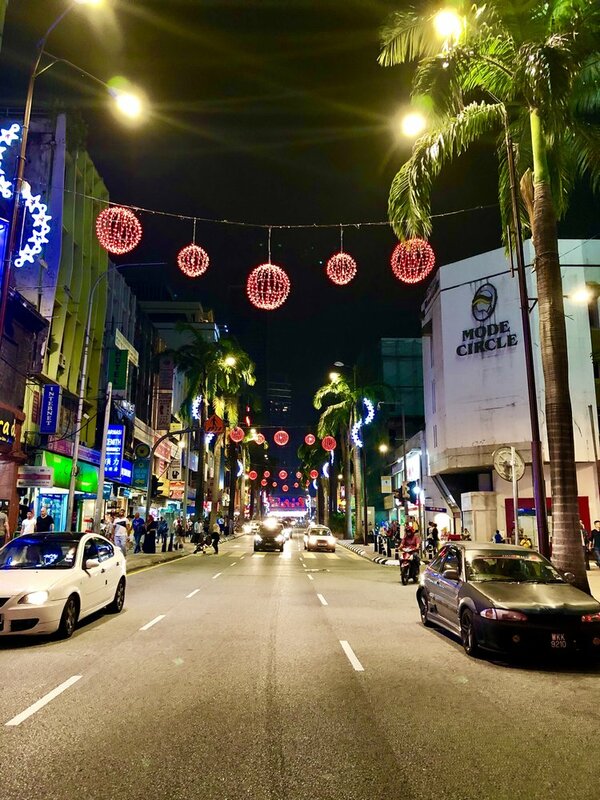 Bukit Bintang is a busy street full of restaurants, food carts, bars, massage parlors, etc. You will see tourists and locals alike mingling and music will be blasting from each place you walk by. The area is busy all night and crowds stick around until around 2 or 3am. 6. Petronas Towers: Being born and raised in New York City, skyscrapers don’t impress me very much but as a city landmark I couldn’t help but to make a pit stop here.Tourists gather here night and day to capture the perfect shot. The Pertronas Towers stand at 1400+ feet tall. On the lower floors there’s a high end shopping mall. You can also purchase tickets to visit the sky bridge (85MYR) that connects the two towers as well as the observation deck. 7. Chinese temple: As an architecture lover (and a lover of the color red), this was a treat. 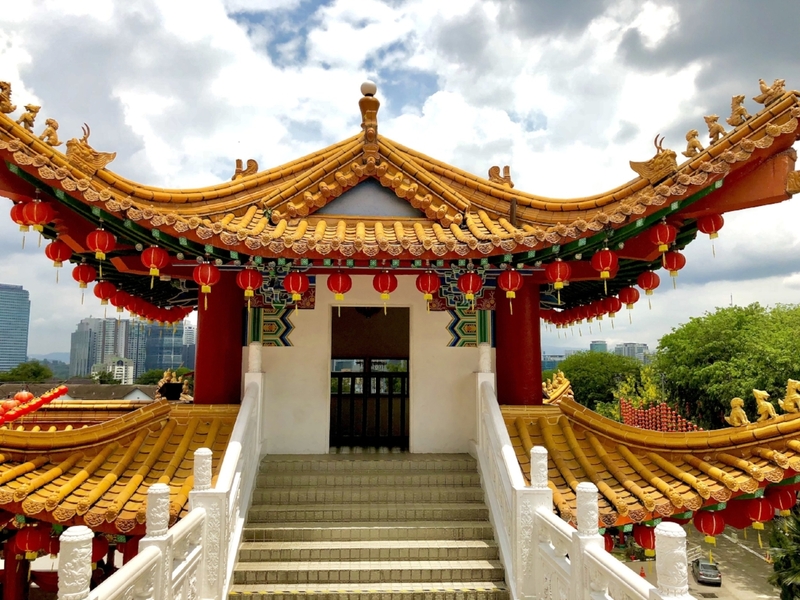 Located in the Chinese district of Kuala Lumpur, Thean Hou Temple is a multi level Buddhist temple that is full of vibrant colors. It is also one of the most oldest and largest Chinese temples in South East Asia. Take a taxi here and explore all the details of this beautiful temple that is free of entry. 8. Shopping: There are several market places and shops where you will find all kinds of great souvenirs from essential oils to costume jewelry which happens to be some of my favorite things to take home. I found some cool things in Little India and Central Market. Don’t be afraid to bargain! 9. 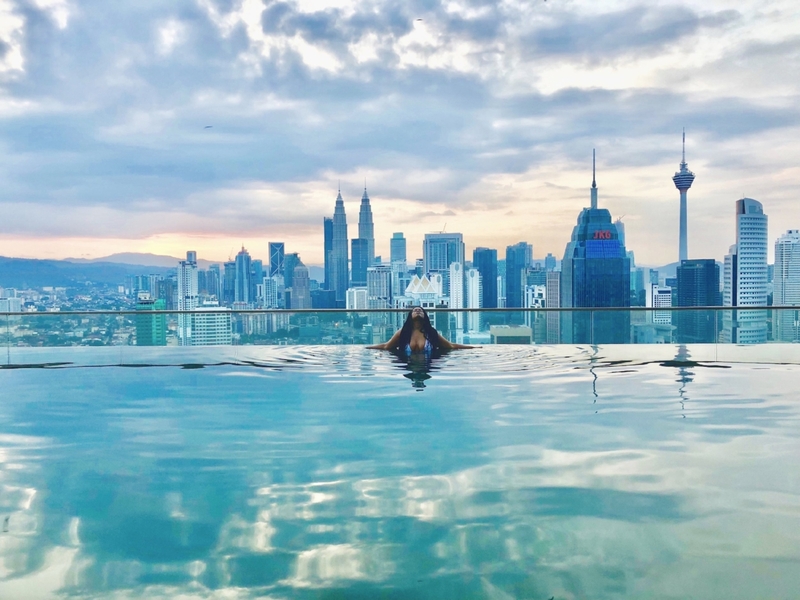 Infinity pools: Many hotels in Kuala Lumpur have infinity pools with views of the city as your backdrop. It’s best to get to the pool when it opens (around 7am) if you want the perfect photo. My infinity pool was located at the top of Regalia Suites. I had a large and comfortable 1 bedroom apartment that cost me around $100 for 2 nights! 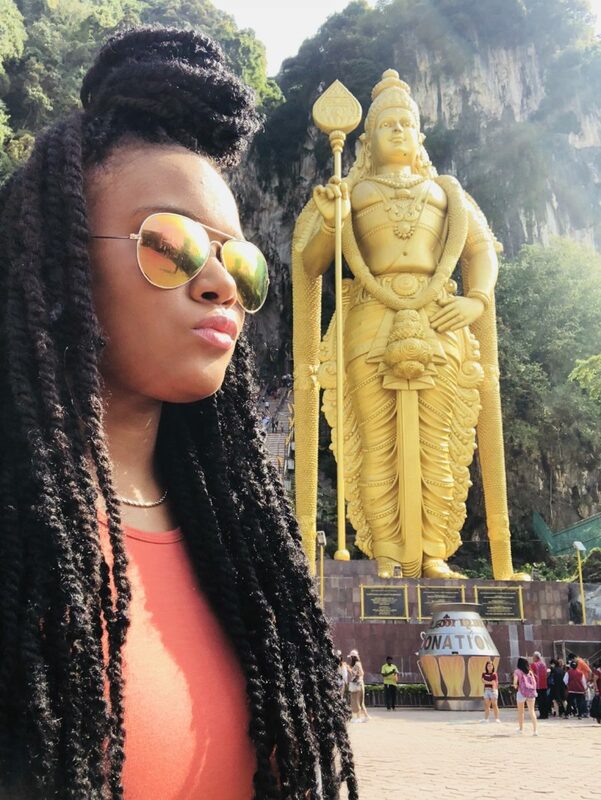 I loved Kuala Lumpur because it was filled with activities that won’t break the bank. It’s an ideal city for a budget traveler who enjoys a bit of luxury. With visiting here you will get to see every thing the city has to offer and your wallet will thank you later. 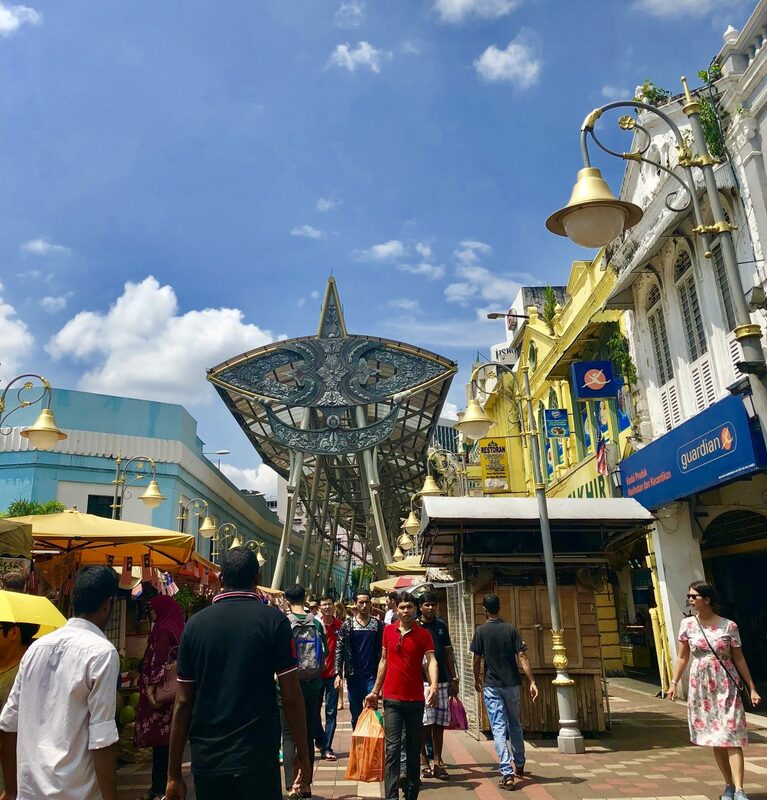 I visited Kuala Lumpur solo and had a great time exploring. It’s always a good feeling to step out of your comfort zone, make your own rules and trust your own instincts. I was able to navigate through this busy city while staying below my budget and not feeling deprived or like I missed anything.